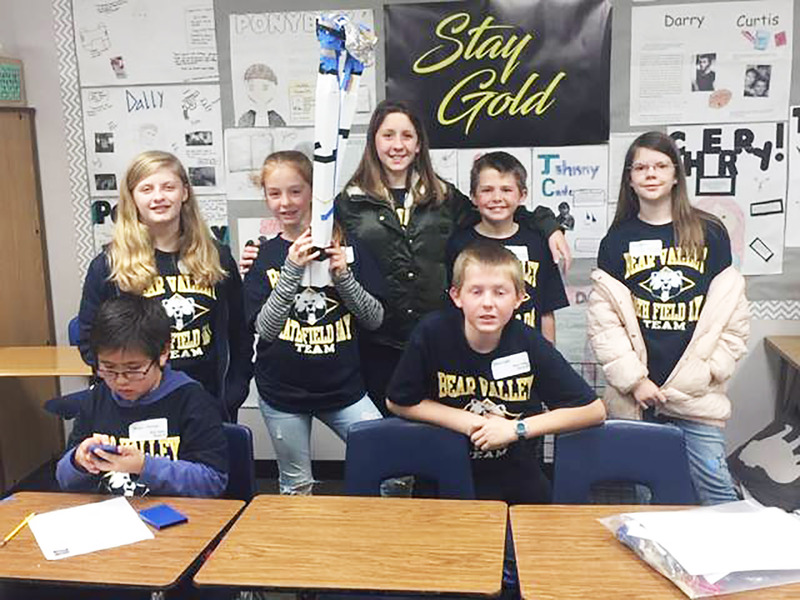 The Math Field Day team of Bear Valley Middle School. Fifth and 6th-graders turned out at Rincon Middle School on Saturday, March 2 for a morning of intense competition. More than 160 “mathletes” (a term that combines athlete plus math) took part in the annual Math Field Day, now in its third decade in the Escondido Union School District. 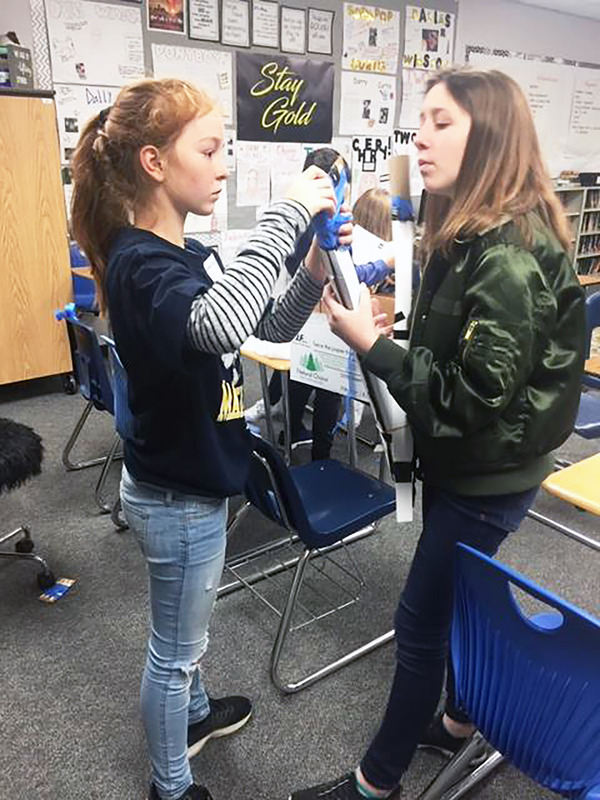 Every EUSD school fielded a team, whose members together tackled hands-on math problems related to reasoning, statistics, and engineering. The teams have been training for weeks during lunch and after school under the leadership of their math coaches. While student worked on their challenges, parents enjoyed programming just for them. STEM (Science Technology Engineering and Math) ambassadors from Cal State San Marcos shared with parents their partnership with the district that provides mobile making labs at all EUSD middle schools, even providing a couple of demonstrations using liquid nitrogen. Then parents had a chance to explore STEM demonstrations from groups of students from each middle school, from programing robots to 3D printing. The Escondido branch of the math-learning center Mathnasium donated one-month memberships for every member of the two first-place teams. “Mathletes” at the annual Math Field Day March 2 at Rincon Middle School.